Ikaâ Dictionary team is about to make history come 19th Aug. 2017 at Ogwa Ika; Onu Ika in collaboration with Ika Bible Translation Committee, Ika Language and Culture Dev Union and Onu-Kokome of Abuja will formally launch the 1st Edition of “Ika Dictionary” to the Glory of God. See below for the cover pages. We need your financial and moral support. Formal invitation will be posted on this platform soonest. Remain blessed. 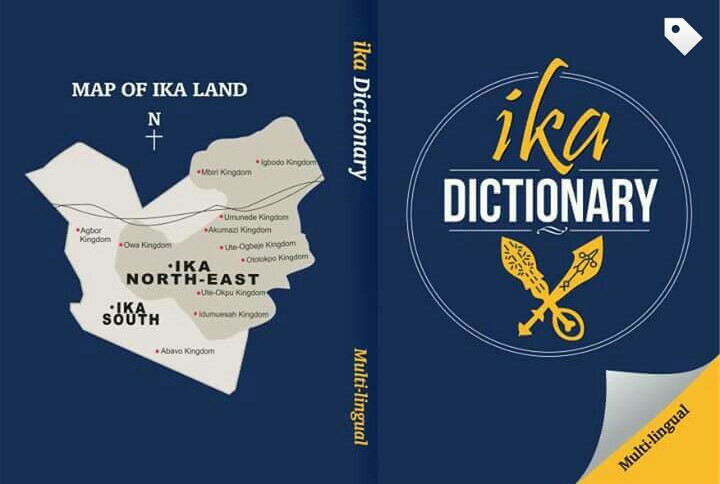 Ika Dictionary is going to be the first of it’s kind in Delta State North, we are anticipating a big turnout, plus the governor Dr. Okowa may come. Â Â Â Â Daniel Usifoh. Head. Collective Leadership of Onu Ika Nigeria. Thx.. From ika Agbor land.. The post Ikaâ Dictionary team is about to make history appeared first on Front Line Reporter.